Have you ever seen hundreds of different types of pressure cookers and been so confused that you decided to buy something else? 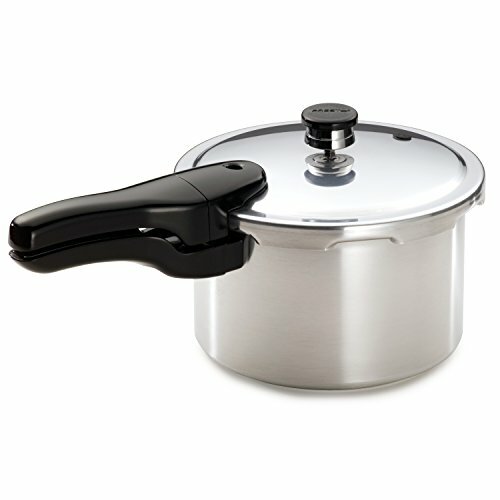 Have you ever heard the term “anodized pressure cooker” and thought ‘What in the world is that?’ Don’t worry. I can relate. Which is why, I have compiled a list of the best pressure cookers in town, segregated by type and usefulness. Naturally, a pressure cooker works on the same basic principle: pressure. But every type has a different mechanism, style, taste, texture, and of course, price and durability. In the following few articles, I shall go over 6 different types of pressure cookers, their general definition, along with a detailed review of a few of my best products. I’ve even included a comparison chart so you can catch the differences with ease. See for yourself, and don’t forget to give us a chat if you have any questions. 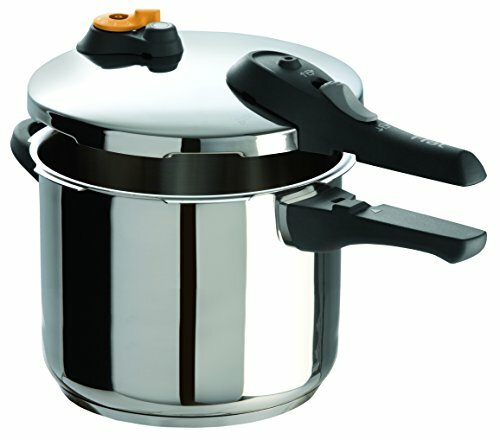 Pressure cookers have really transformed from the traditional feared units to modern multi-purpose units. Traditionally these units used to cause fires and kitchen explosions. These modern units are able to cook any type of food in a much faster and energy efficient way. The general trend is that these products are now more of a necessity than a luxury. These units don’t come cheap and is therefore important to make a wise purchase decision. The small-sized units would be ideal for those with limited space. Some of the factors that would guide your choice include base construction, safety features, pressure controls, multiple settings, accessories, and brand warranty. Large families have more cooking requirements and will, therefore, need a large-sized pressure cooking unit to meet those needs. Such a unit should have top-notch qualities that can guarantee the delivery of a healthy delicious meal. It should also have a great design that fits your style and cooking needs. 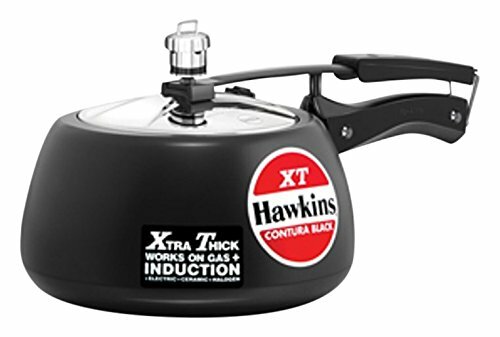 Safety is an important consideration in the choice of a pressure cookware. You don’t want to expose yourself to dangers of explosion and fires. You will, therefore, have to keenly look at the automated features offered by each unit before picking the ideal product for your household. 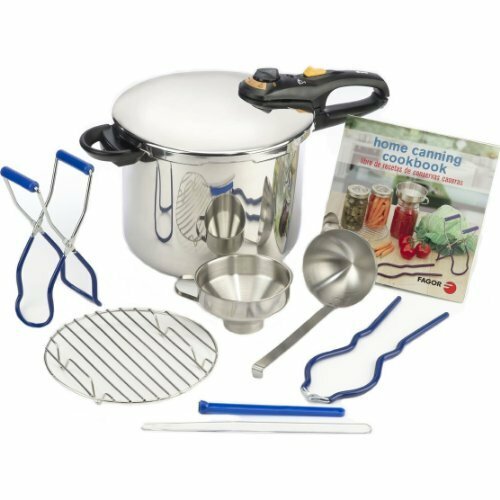 Hard-anodized pressure cooking units tend to cook food at temperatures that are higher than the typical boiling temperature. The rise of the boiling point is achieved by increasing the build-up of pressure within the cooker. This generally reduces the cooking time. There are many units on the market to choose from. Some of them may not be worth investing your money into. You will need to consider factors such as size, compatibility, accessories, and ease of cleaning in choosing your unit. You will also have to consider features like pressure regulator, pressure indicator, water level indicator, and safety features. The ability to achieve faster cooking results has made pressure cookers a popular choice for many households. Various materials have been used to construct these units. The most popular ones are aluminum and stainless steel. The use of aluminum materials makes the cooker lightweight and more affordable. It always feels good to know that you have an effective, durable, and great kitchen appliance that can get you a perfect meal. In choosing an aluminum type cooker, you need to consider the following features; lid-lock mechanism, capacity, cooking rack, secure handles, cooking pot, and the pressure release mechanism. Pressure canners provide a great way of preserving food. With these units, you have an excellent way of preserving fruits and vegetables. This means that you can eat the food any time and in their best conditions. It provides a versatile and flexible way to preserve any kind of food. Any homeowner would, therefore, take their chances to have this unit in their kitchen. Pressure canners have different shapes and sizes and it is, therefore, important to know the right model to choose. They also have different features that impact on their functionality. In choosing the best unit, you will have to consider factors like size, cost, stove-top type, and maintenance. The main types of pressure cookers on the market are stove-top and electric. The electric units come with several pre-set pressure settings, unlike the stove-top models that tend to be manually controlled. These units are more straightforward as far as their operation is concerned. They can even be used for slow cooking and steaming processes. The pre-set settings give you a range of programs to choose from and tend to make these units safer to use. In choosing these units, you will have to look at features, functions, and space requirements for the different models on the market. Stainless steel is known for its long-lasting properties, and its use in the construction of the pressure cookers make them durable. It also gives it the ability to control its own internal temperatures. The units constructed using this material are among the most popular ones on the market. These units are easy to clean. When considering the various units on the market, you have to look at factors like price, corrosion resistance properties, maintenance, and energy efficiency. The choice of an 18/10 cooker would, for instance, give you good stain resistance properties. So there you have it, the top main types of pressure cookers and their 5 or 10 best examples. For my lists, I went over a ton of different brands with the highest reputation, selected their top products, and reviewed each of them thoroughly. My reviews are entirely neutral, so if you found a positive tone, that’s because the product had almost zero flaws. And like I always say, there’s never an age for learning. If you didn’t know what these names and types meant, I try to do my best to explain in detail everything you need to know. However, never be afraid to ask questions or else you’ll likely end up learning nothing at all. And don’t forget to just enjoy the essence of cooking free from industrialization.